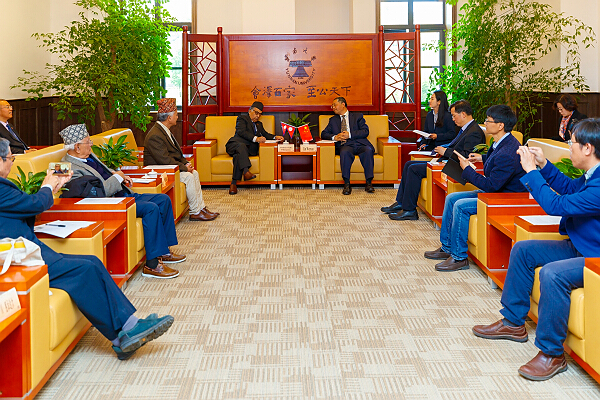 Yunnan University (YNU) signed a Memorandum of Understanding (MOU) with Kathmandu University on April 12 during a visit by members of the Board of Trustees of Kathmandu University to Kunming, capital of Yunnan province. The MOU touches on Himalayan glaciology, hydrology, meteorology, climatology, disasters, and other scientific fields. This MOU is expected to help facilitate the exchange of materials and equipment for education, research, publications, scientific data, and academic information, the exchange of faculty, research scholars, and students, and joint research in both Nepal and China. It will also result in the formation of short-term in-service and pre-service training courses.